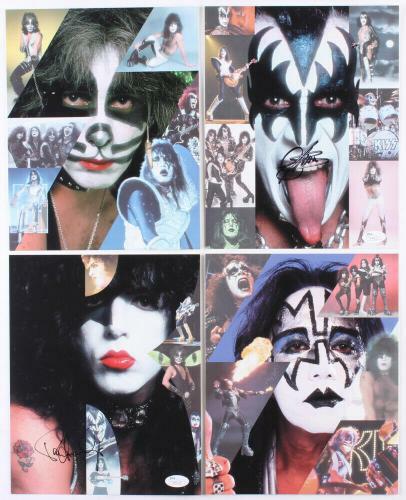 Kiss is an American band from New York that was formed back in 1973. 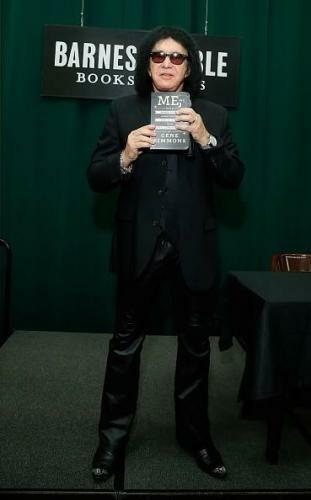 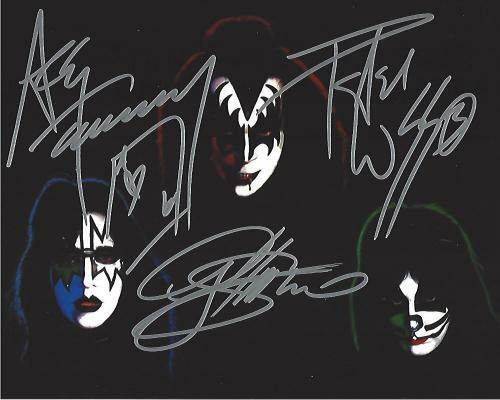 The founding members of the group were Gene Simmons, Paul Stanley, Peter Criss, and Ace Frehley. 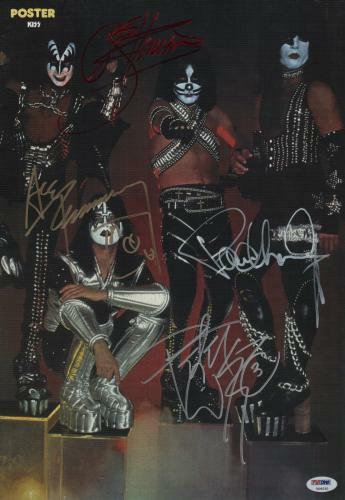 Every member of the band contributes vocals with Simmons playing bass, Stanley playing rhythm guitar, Frehley as the lead guitarist, and Criss on the drums. 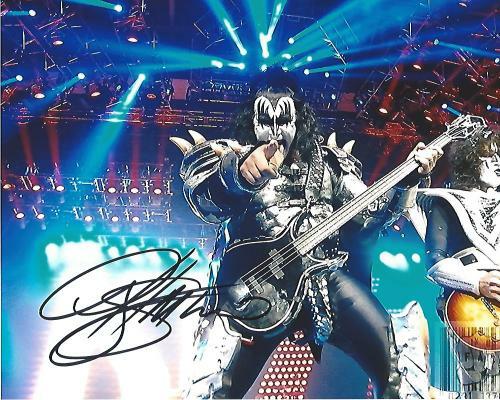 The band is most known for its face paint and elaborate stage outfits that have spawned tons of merchandise as well as lookalike costumes. 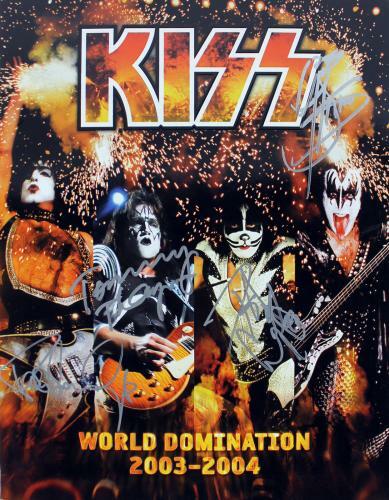 Their shows are highlighted by pyrotechnics, fire-breathing, blood spitting, smoking guitars, and much more. 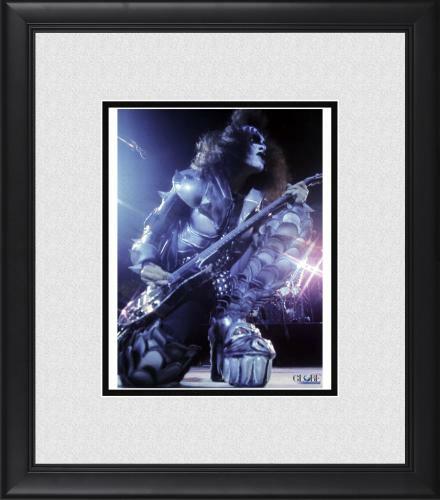 Kiss is one of the best-selling bands of all time as they sold over 75 million records worldwide. 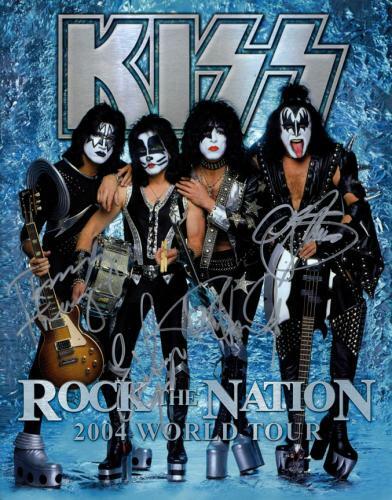 The band was inducted into the Rock and Roll Hall of Fame in 2014 and continues to sell out shows to this day. 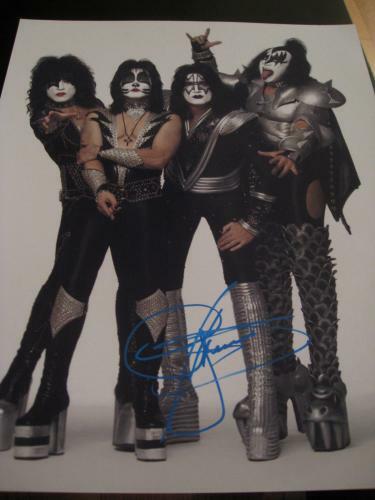 Kiss is one of the more unique and memorable bands of their generation, as the makeup and crazy on-stage antics have garnered them a cult following. 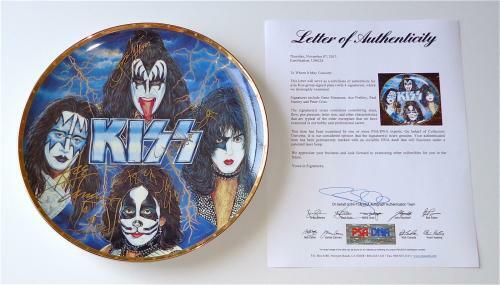 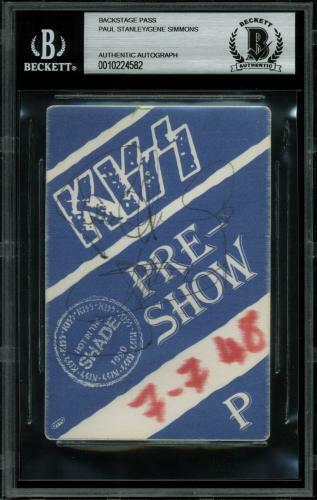 Fans of Kiss have been collecting memorabilia from the band for years as they had great commercial success selling merchandise. 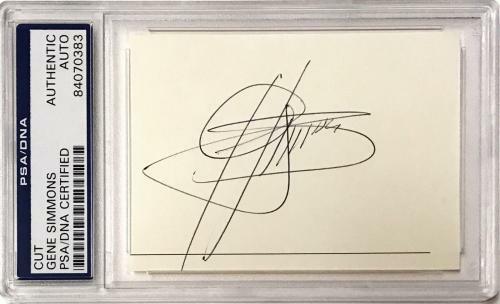 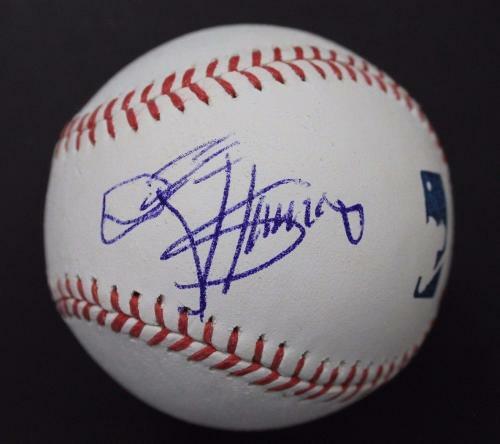 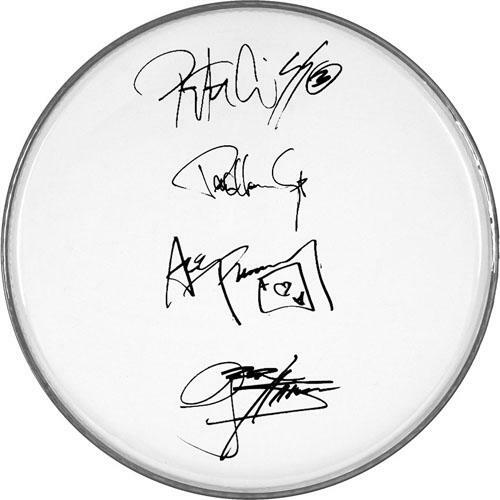 The difference in some of the items that we offer is that they are autographed by the band making them of extreme value to any fan or collector. 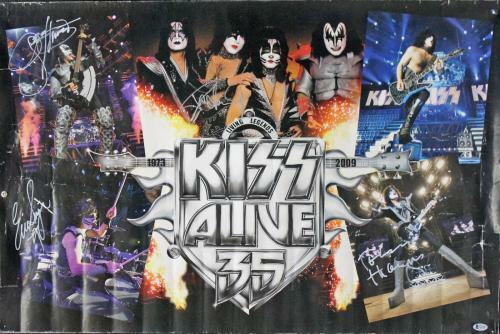 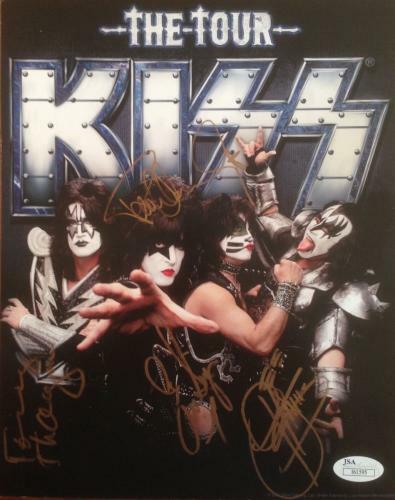 Every Kiss autographed memorabilia comes with a certificate of authenticity and will look great wherever they are put on display. 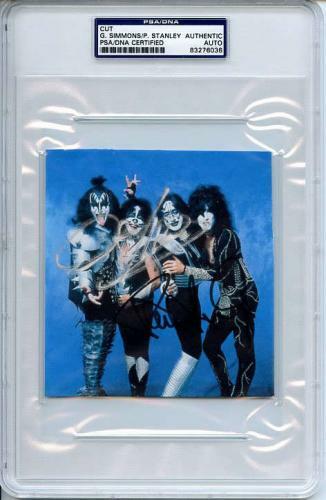 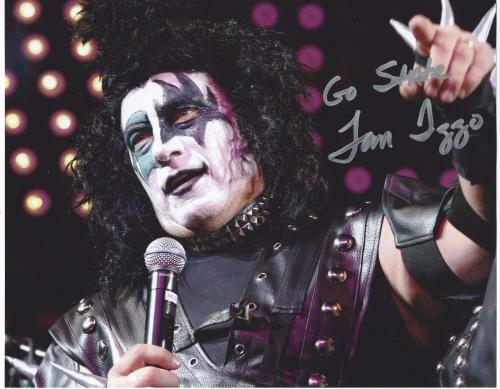 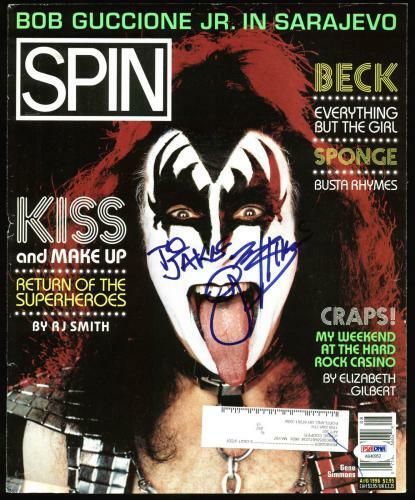 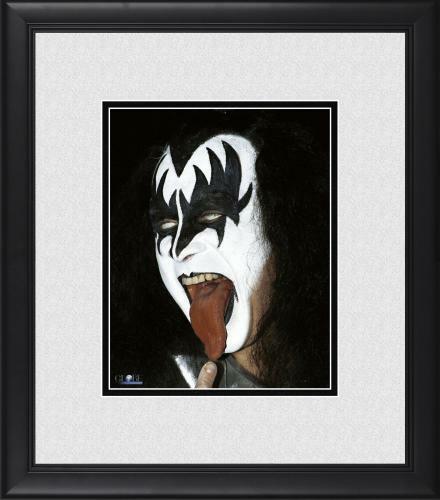 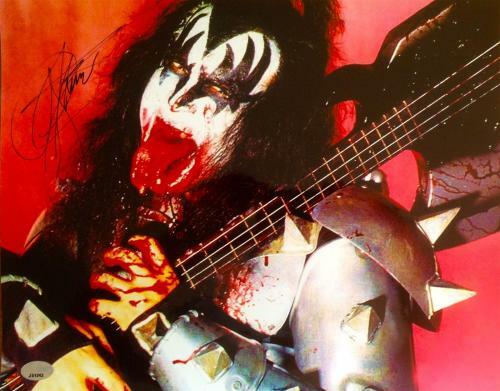 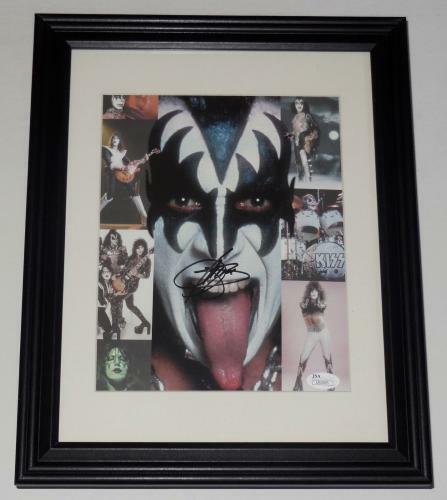 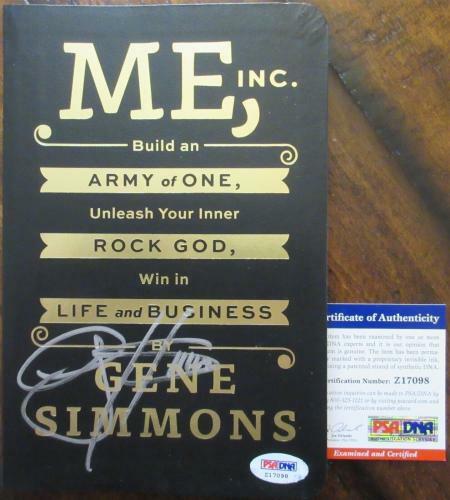 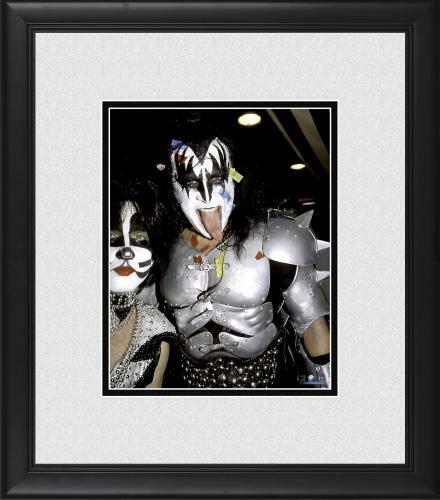 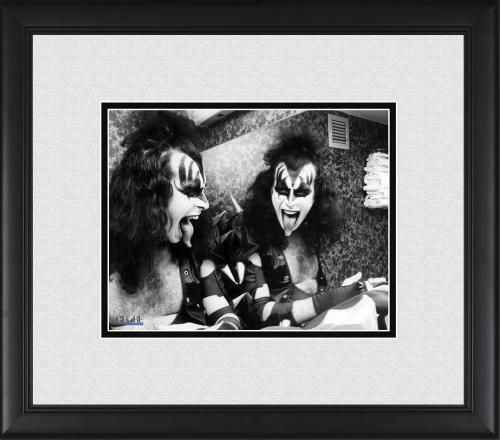 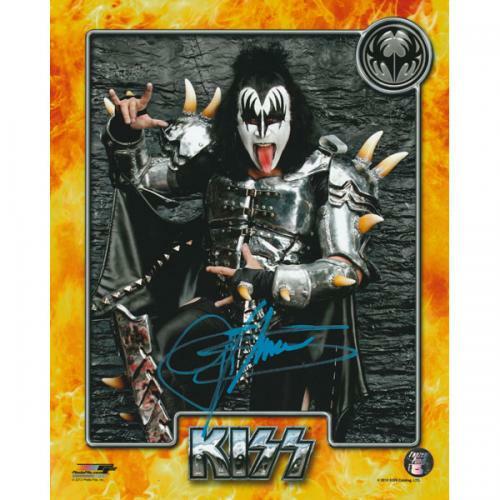 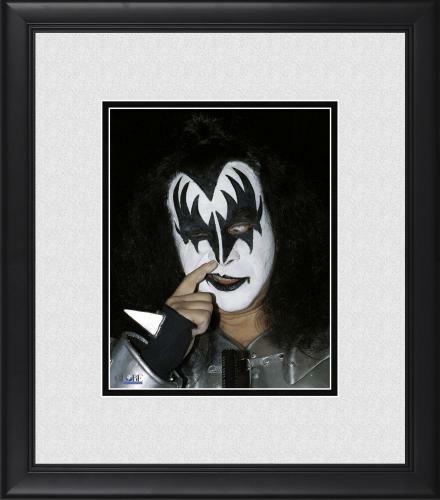 Kiss Autographed Photos: Gene Simmons is one of the lead singers of Kiss and may just have the most popular tongue in showbusiness as his long tongue became one of the most iconic images in the band's persona. 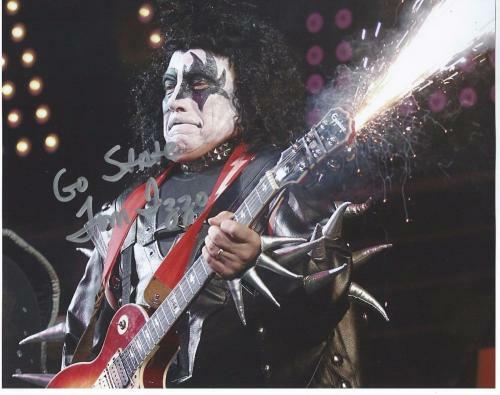 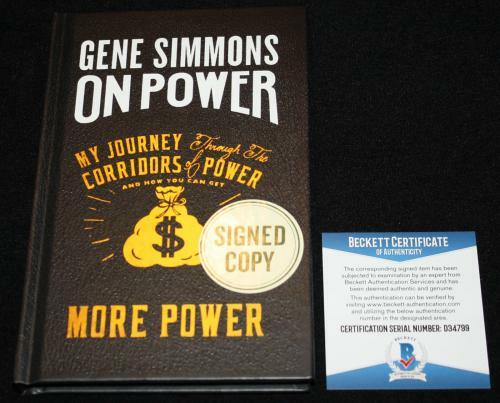 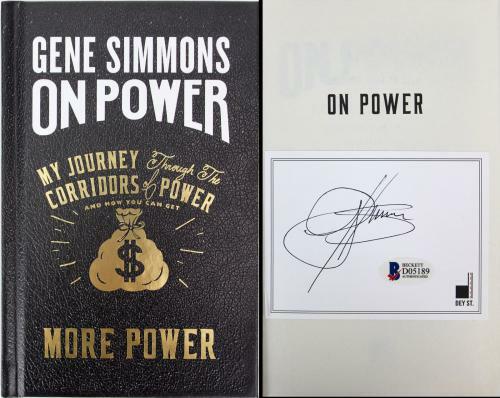 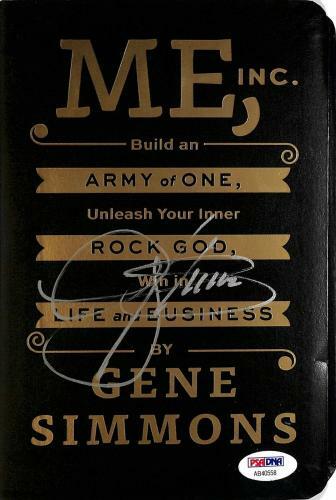 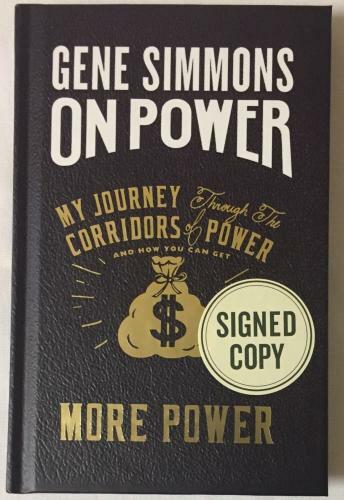 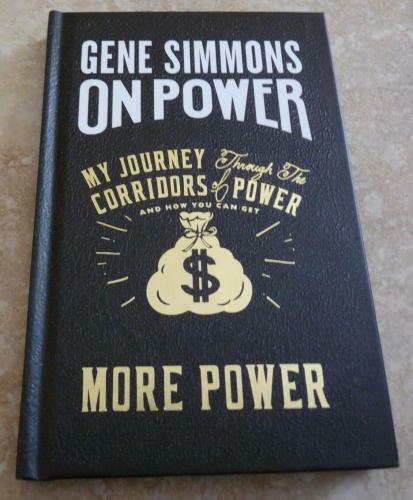 We offer amazing picture of Simmons from every stage of his career starting from the beginning of Kiss until now. 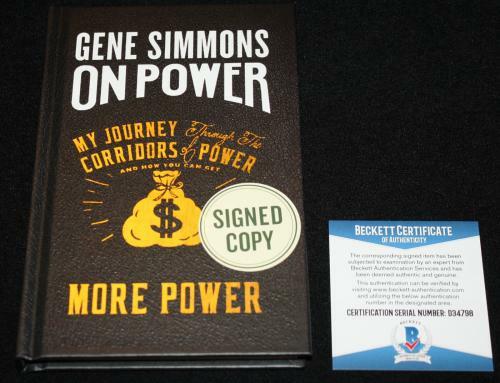 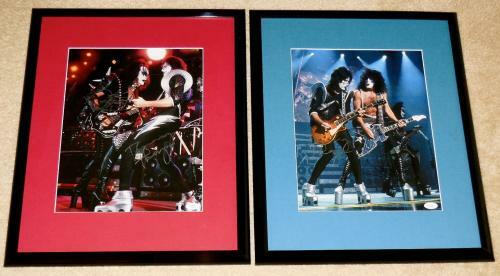 These certified authentic autographed photos will look great on display in your home or office. 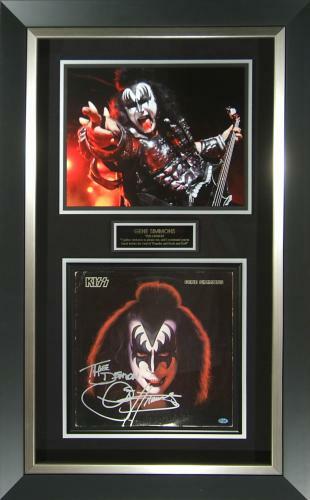 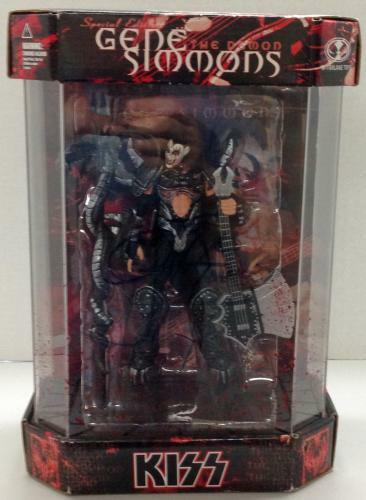 Kiss Autographed Instruments: There is nothing cooler than autographed instruments from a great musician. 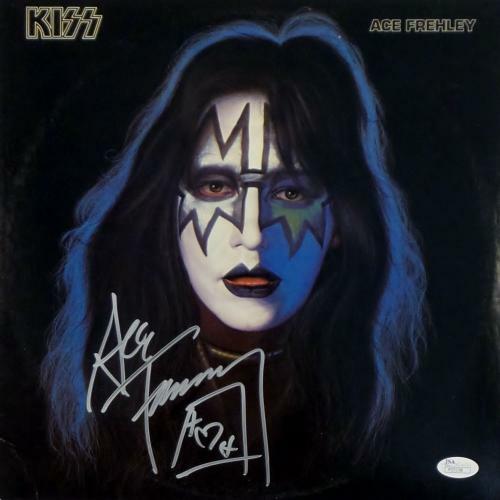 We have a great selection of different instruments from Ace Frehley, the lead guitarist for Kiss. 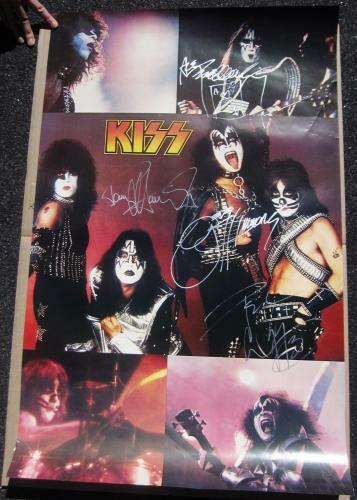 These instruments include guitars and drum heads signed by Frehley and also some signed by all of Kiss. 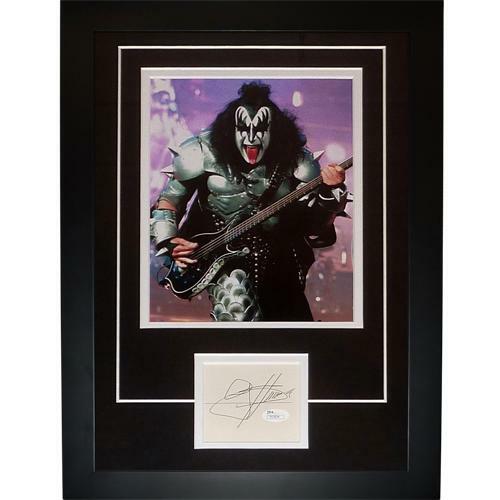 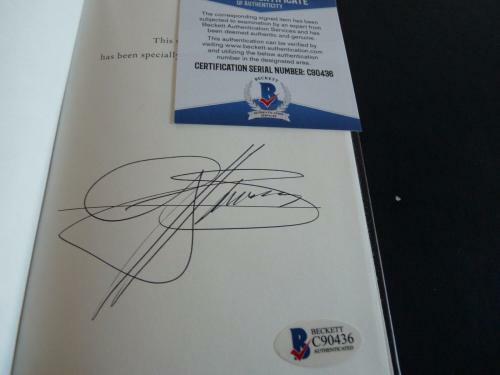 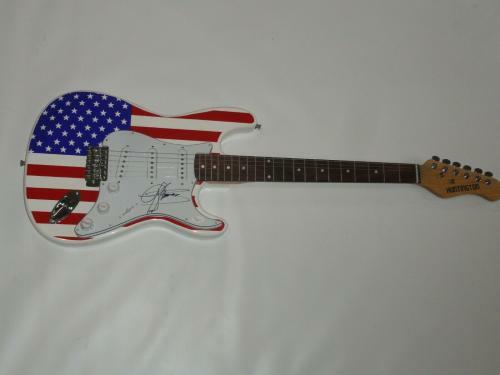 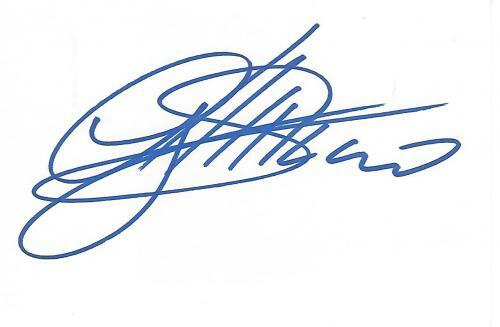 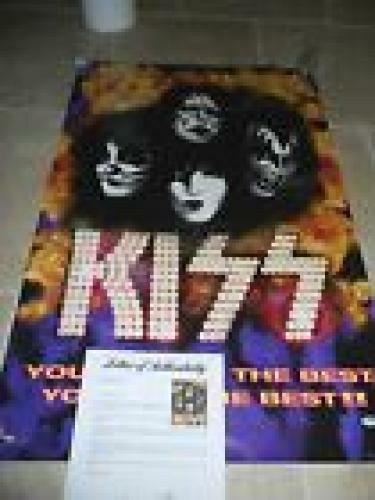 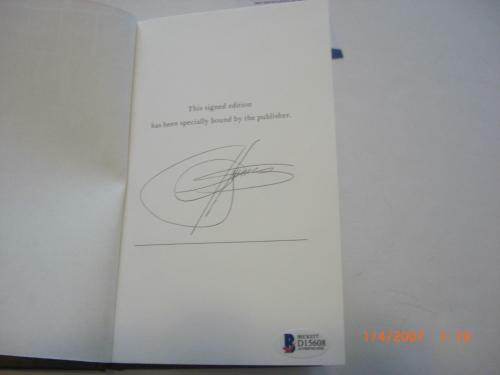 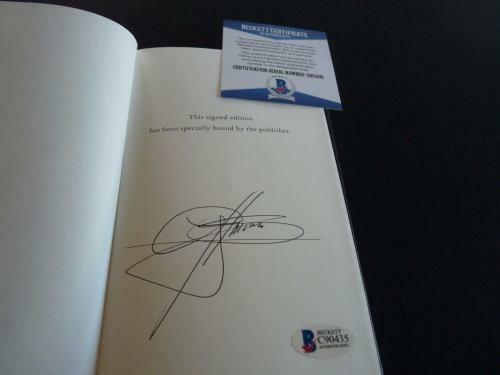 Every Frehley autographed instrument will look great showcased and comes guaranteed authentic. 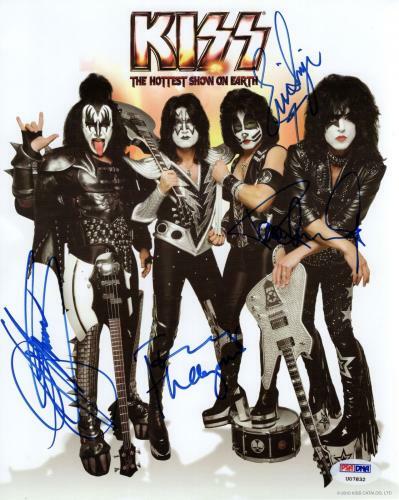 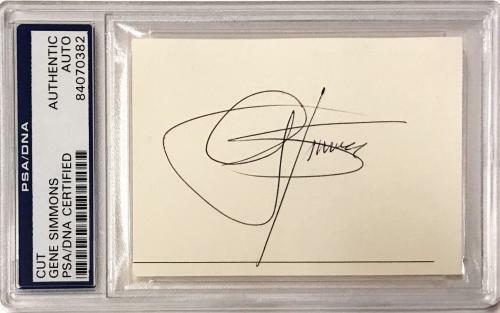 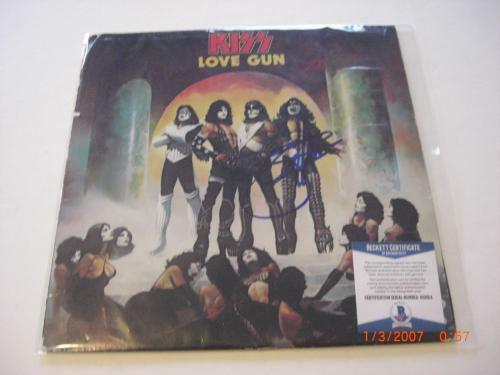 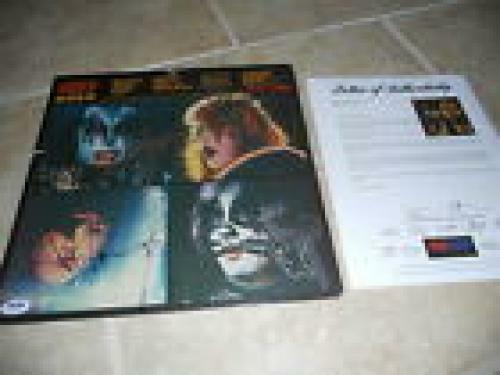 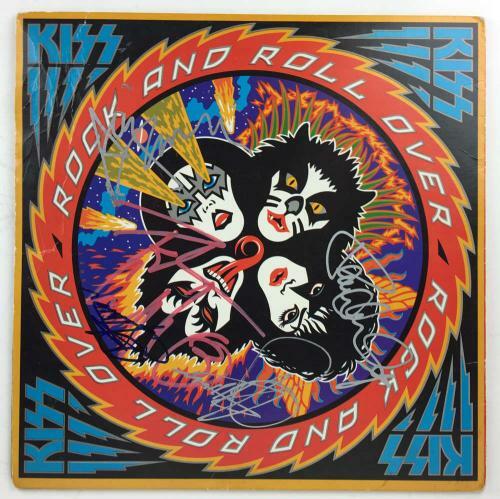 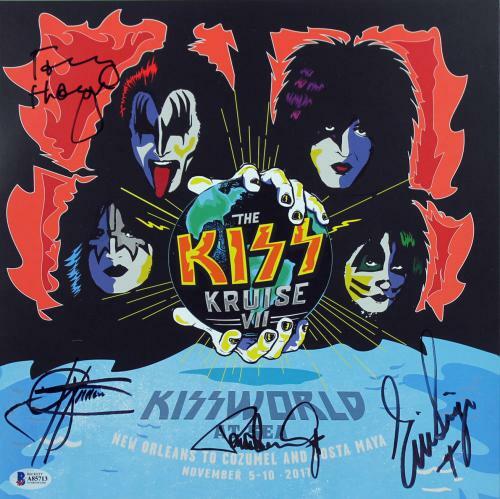 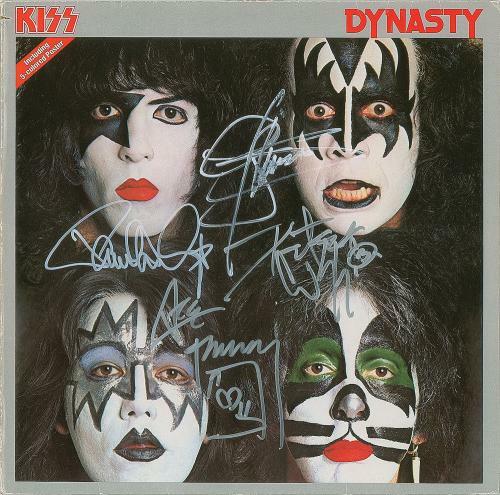 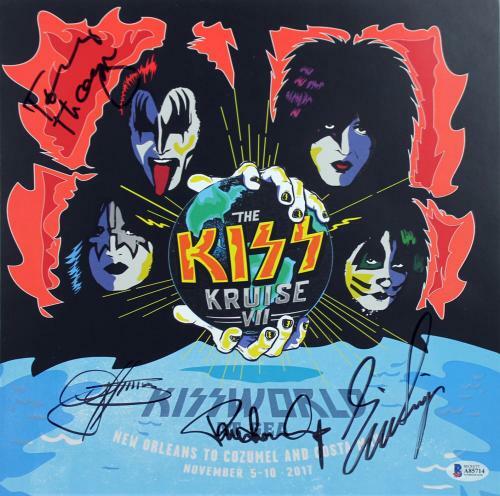 Kiss Autographed Albums: Kiss is one of the best-selling bands of all time as they have countless records that have sold across their long career. 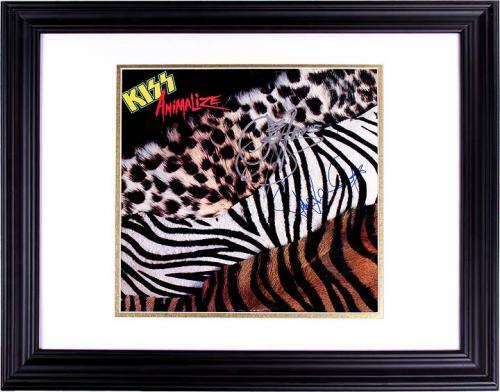 We have a unique selection of autographed albums from the Kiss that are certified authentic and will look great on display in your home. 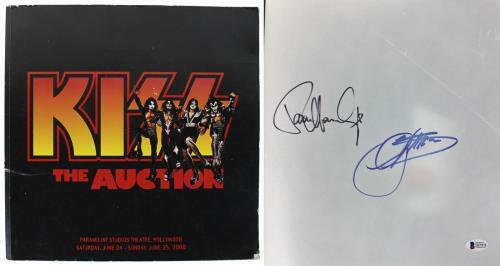 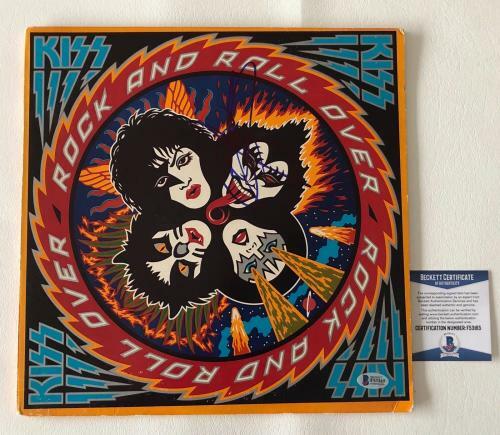 These classic albums have been signed by the Kiss and will increase in value over time.